There is no way to sugarcoat the Montreal Canadiens signing Ales Hemsky on Monday. The move, which coincided with the Dallas Stars signing away Alexander Radulov for $31.25 million over five years ($6.25 million per year), effectively means the Habs have been forced to replace Radulov in the line-up with Hemsky, albeit for significantly less money. Hemsky will get $1 million for a single season. There’s a reason for that, though. Hemsky is coming off a 15-game season (7 points) after hip surgery. After returning last March, he ended up missing the last five games of the season with a hip ailment as well. Not exactly known for his durability, even under the assumption he can stay healthy, Hemsky is a vastly different animal than Radulov. Admittedly, if this were the tortoise and the hare, Hemsky might be the wise tortoise, if only due to the fact he is far closer to the finish line, with regard to his career. Whereas Radulov, who is three years younger, can be physically dominant and will his way around the offensive zone, Hemsky is known to be physically dominated at times. There isn’t exactly a sign of Hemsky bucking the trend anytime soon, with his game in serious decline. 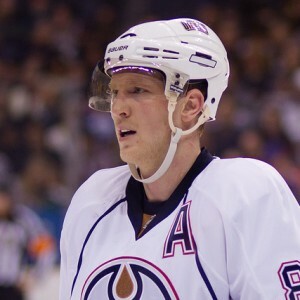 Hemsky hasn’t looked like himself since being traded to the Ottawa Senators in 2013-14, when he put up 17 points in a 20-game span playing with Jason Spezza (he had only scored 26 points in 55 games with the Edmonton Oilers prior to that stretch). He then followed Spezza over to the Dallas Stars, but he couldn’t rekindle any kind of the same magic, unless we’re talking disappearing for long stretches at a time. As a right-wing, Hemsky will likely slot in on the second line as a Hab. He no longer has the skill necessary to contribute in a top-line role, nor does he possess the grit to flourish in the bottom of the line-up. It’s a far cry from what Radulov could bring as a game-changing talent in other words. More than anything else, this reeks of a reactionary signing by general manager Marc Bergevin. It’s as if he knew Radulov was not going to return and felt the need to soften the blow somewhat, especially if reports that he had ultimately offered the same deal as the Stars, just too late, are accurate. 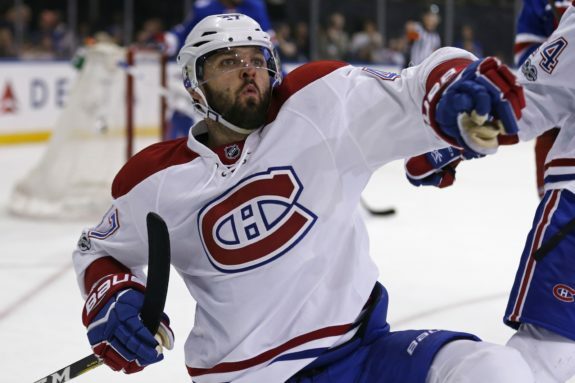 On the plus side, he saves some money to presumably meet Andrei Markov’s demands and re-sign Alex Galchenyuk. Unfortunately, the opportunity cost associated with signing Hemsky is higher than just losing Radulov. Unless the Canadiens are willing to bury him in the minors, it means less of a chance that players like Nikita Scherbak and Charles Hudon will make the team next season. The Habs now have five players who could realistically play right-wing on the roster: Jonathan Drouin, Andrew Shaw, Paul Byron, Brendan Gallagher and Hemsky. Scherbak plays that side as well. If Drouin switches over to the left, Hudon’s natural position, to make room for Hemsky, there will be a similar clog (Max Pacioretty, Drouin, Byron, Artturi Lehkonen and potentially Galchenyuk). On the plus side, maybe this forces Bergevin and head coach Claude Julien to play Galchenyuk at center (unless they trade him). Expect the unexpected, after all. Most expected the Carey Price extension to mean the team would be forced to give younger guys on cheaper contracts more of a shot. Apparently, you can give old guys on the decline cheap contracts too. Yay. The talent of a guy like Radulov made such a bitter pill a tad easier to swallow, because the team is supposedly primed to win now. Hemsky will likely only frustrate fans and coaches alike. It’s happening already. Maybe Hemsky deserves a fair shot. Maybe the vast decline in his game over the last half-decade has been overstated. Maybe, given the right role in the right surroundings, potentially with countryman Tomas Plekanec, who is in serious decline himself, he can impress. That’s a huge leap of faith though, especially the bit about Montreal being the right surroundings these days. Radulov didn’t stay, after all.